Anatolian Journal of Economics and Business is a peer-reviewed journal publishes theoretical and empirical original articles in the fields of economics, business, public finance, econometrics, labor economics, public administration and international relations. 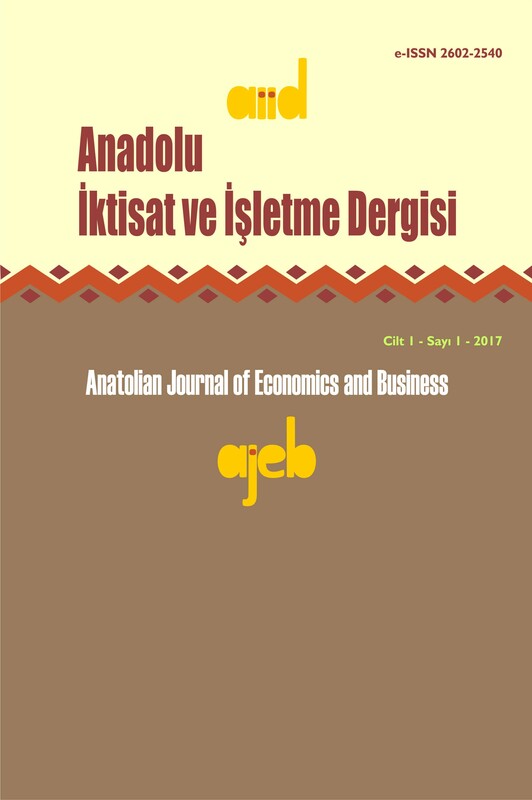 Anatolian Journal of Economics and Business publishes at least two times a year in April and October, and the language of the journal is Turkish and English. The papers sent to the journal for publication are published as open access on the internet in case that they are accepted to be published at the end of the referee review process. Researchers who consider sending papers to Anatolian Journal of Economics and Business for publication should register by reviewing the journal publication policy (About Journal) and the Author's Guidelines, and then need to upload papers through the three-stage submitting system. Anadolu İktisat ve İşletme Dergisi TUBİTAK ULAKBİM tarafından izlenmektedir. TR Dizin Sosyal ve Beşeri Bilimler Veri Tabanında dizinlenmek için başvuru yapılmıştır.